Hot weather in the last few days inspired me for making an ice cream. 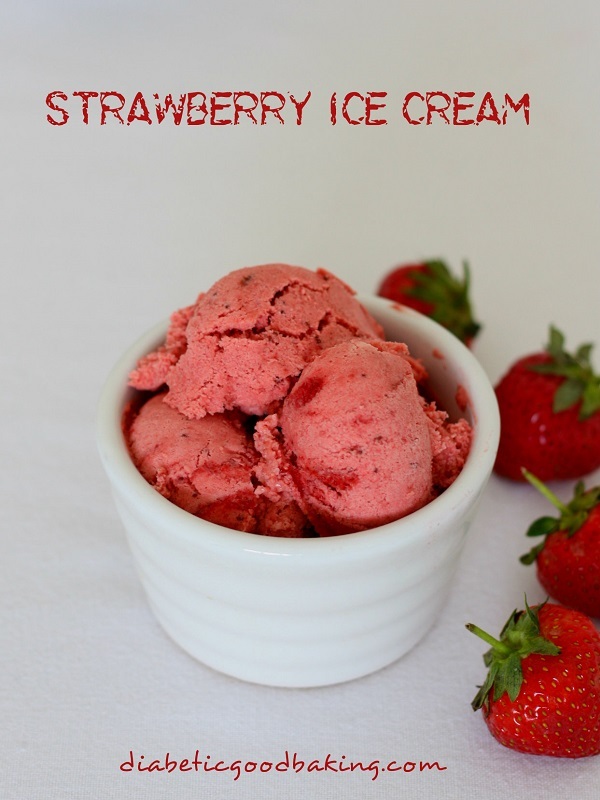 It’s a bit tricky to make nice one without ice cream maker (still on the list things to buy) but I’ve managed to find this amazing recipe for super easy and yummy ice cream. Some ingredients might be a bit surprising but trust me it all matches very well. 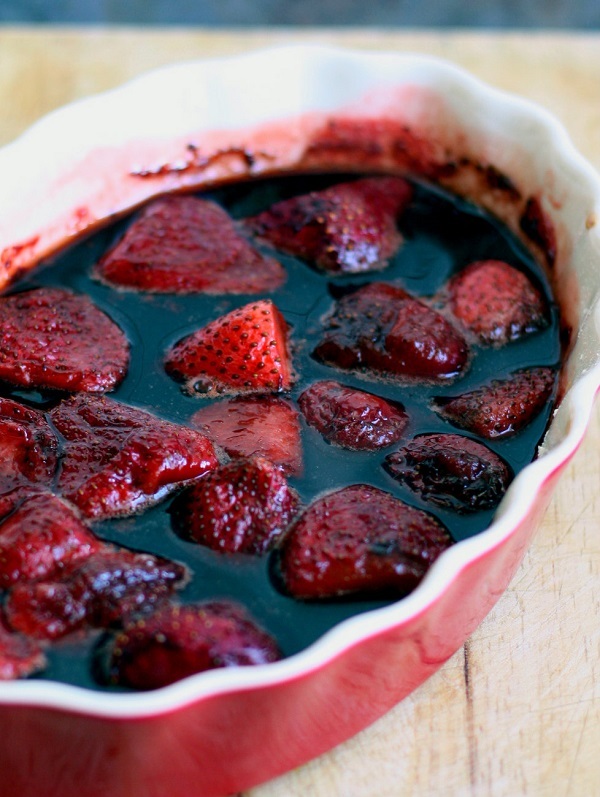 Balsamic vinegar brings out the berries' beautiful colour and truly enhances their flavour. I would never think about using it in any dessert recipe! 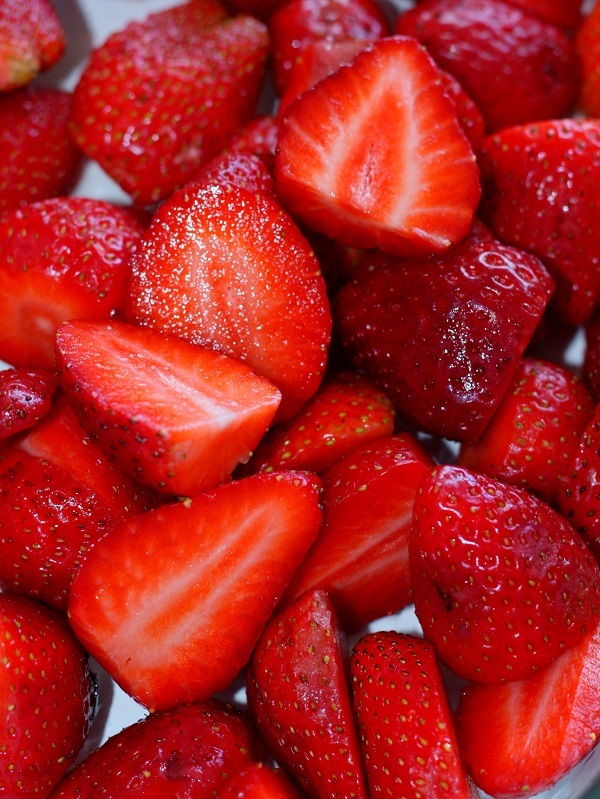 Place strawberries in a large baking tray and mix with balsamic vinegar and 6 tbsps. xylitol. Bake for about 35 – 40 minutes. Let it cool down and blend in a food processor or with a hand blender. Place the cream in a large bowl and whip together with remaining 2 tbsp. Xylitol. Mix the whipped cream with the strawberry puree. Try the mixture for sweetness. Add some more xylitol if you want to, but remember it will change nutritional value. Pour the mixture into container and place in the freezer for at least 4-5 hours (the best overnight). 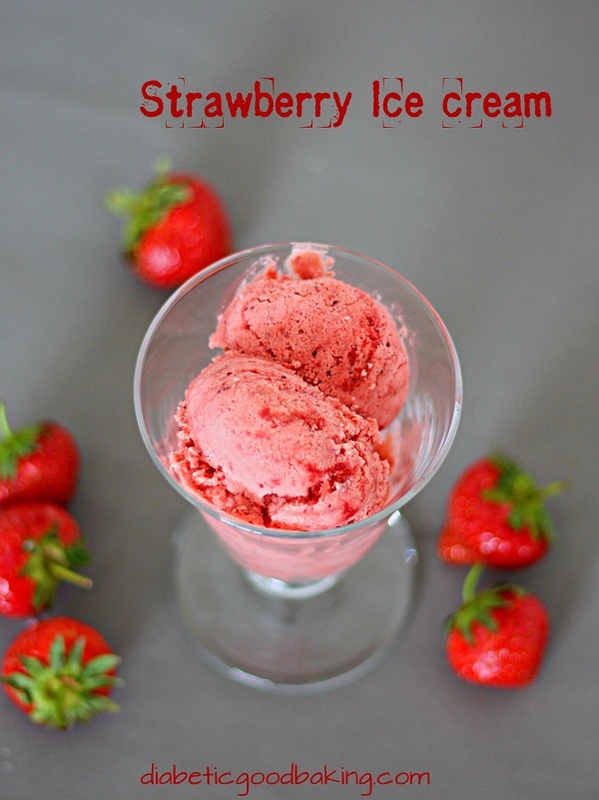 Turned out a bit too sweet for me, but worked very well in my ice cream maker. Trying it out on extended family tomorrow! Great for those times when I need a "sugar" hit.